This is a small batch, artisanal gin bottled by Serge Buss, the founder of the Belgian company, Buss Spirits. 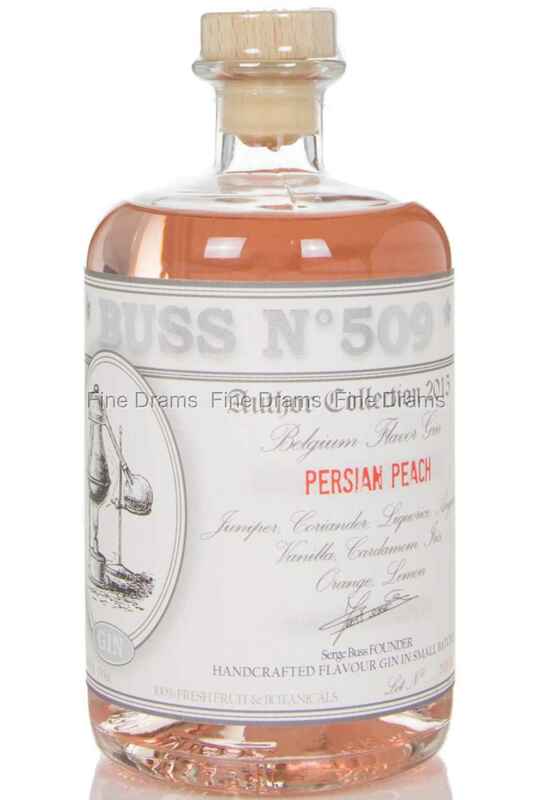 From their No.509 comes this gin, named Persian Peach. This lovely, pink-coloured gin features botanicals such as juniper, liquorice, orange, lemon, vanilla, Iris, cardamom, coriander, angelica, and orange.